Young Ali Baba stumbles across an enchanted cave and overhears the magic words that open it: “Open Sesame!”He finds untold amounts of gold and jewels, and takes some home to show his wife. But what will he do when she chides him for stealing? Can he keep the secret from his jealous brother? And when the Robber King comes looking for the missing treasure supported by an army of 40 angry thieves – will he and his family survive? Now in their 28th season, Illyria return with. 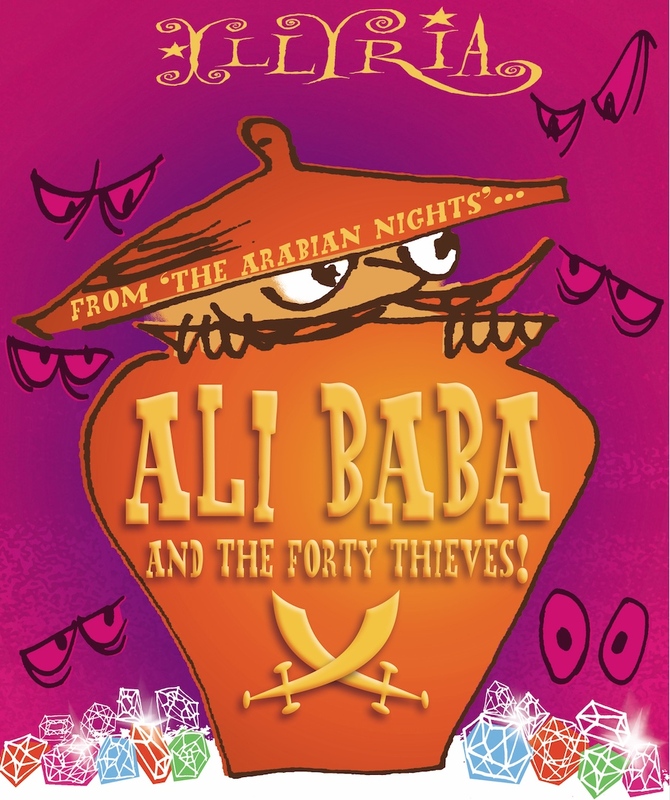 ALI BABA AND THE FORTY THIEVES! Adapted by Oliver Gray this production it is packed with cliff-hangers, larger-than-life characters, laughs galore and the most magical cave you’ve ever seen! Perfect summer fun for your little thieves and vagabonds.